Dell India has launched its latest range of gaming laptops, the Alienware and Inspiron series. 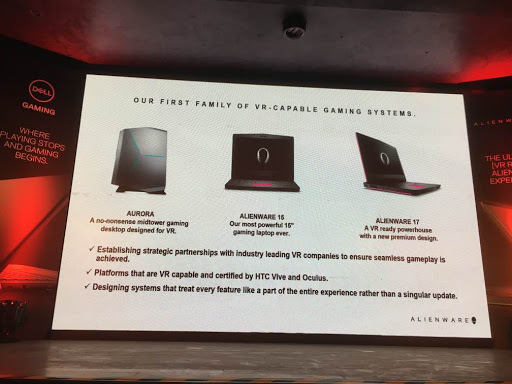 The new addition to the Alienware series include Alienware 15, Alienware 17 and Alienware Aurora Desktop which are priced at Rs. 1,64,990, Rs. 2,14,990 and Rs. 1,79,990 respectively. 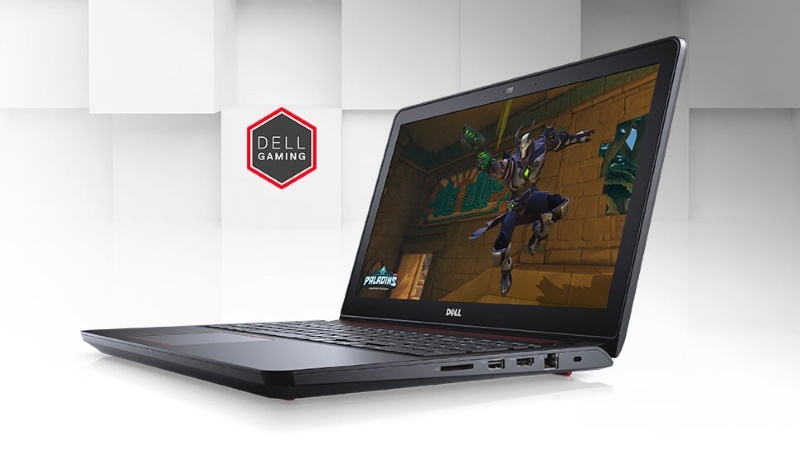 Considering the Inspiron series, it gets Inspiron 15 5000 Gaming and Inspiron 15 7000 Gaming laptops. Both these laptops are priced at Rs. 74,490 and Rs. 82,490 respectively. According to Dell, the new laptop series will be available at the Dell Exclusive stores soon in the country. All the launched laptops were first revealed at the CES 2017. The entry level model comes with Windows 10 64-bit and an Intel Core i7-7700HQ processor which is a quad-core, 6MB cache, up to 3.5GHz with Turbo Boost, Intel HD Graphics 530, Nvidia GeForce GTX 1060 with 6GB GDDR5 video memory, 8GB DDR4 2133MHz RAM, a 1TB 7,2000 RPM HDD, and a 68Wh battery. The laptop features a 15.6-inch full-HD display with 1920 x 1080 pixels and weighs 3.49kgs. The particular model measures 389 mm X 305 mm X 25.4 mm and will be available in Epic Silver chassis. The premium model features a 17.3 inch full HD display with 1920 X 1080 pixels IPS anti-glare display and comes with Windows 10 64-bit. The laptop is powered by an Intel Core i7-7700hQ processor (quad-core, 6MB cache, up to 3.5GHz with Turbo Boost, Intel HD Graphics 530, Nvidia GeForce GTX 1060 with 6GB GDDR5 video memory, 8GB DDR4 2400MHz RAM and a 1TB 7,200RPM HDD. The laptop weighs 4.42kg and measures 424 mm X 332 mm X 29.9 mm and will be also available in Epic Silver color. Both the Alienware models come with Tobii eye-tracking software. The base model of Aurora R6 comes with Windows 10 64-bit, and an Intel Core i5-7400 processor quad-core, 6MB cache, up to 3.5GHz with Turbo Boost. It also features Nvidia GeForce GTX 1050Ti with 4GB GDDR5 video memory, 8GB DDR4 2400MHz RAM, and a 1TB 7,200RPM HDD. The laptop measures 14.819kg and measures 212 mm X 360 mm X 472.54 mm and will be available in an Epic Silver chassis. AMD processors, up to Nvidia GeForce GTX 1050 with 4GB GDDR5 video memory, up to 32GB DDR4 2400MHz RAM and up to a 512GB PCIe SSD. It features a 74Whr 6-cell battery and weighs 2.55 kg. The laptop measures 265 mm X 383 mm X 25.3 mm and will be available in Black color option. The Inspiron 15 7000 Gaming base model comes with Windows 10 64-bit, a 15.6-inch full-HD 1920 X 1080 pixels anti-glare LED-backlit display, and an Intel Core i5-7300HQ quad-core, 6MB cache, Turbo Boost up to 3.5GHz, Nvidia GeForce GTX 1050 with 4GB GDDR5 video memory, 8GB DDR4 2400MHz RAM, and a 1TB 5,400RPM HDD with 8GB cache. The laptop is fueled by a 74 Whr 6-cell battery and weighs 2.65kg. The overall dimensions of the laptop measure 274 mm X 384 mm X 25.55 mm and available color options include Matte Black or Red. Along with these new gaming laptop range, Dell India has also partnered with HTC for introducing a limited range of exclusive VR experience zones across 125 centers. 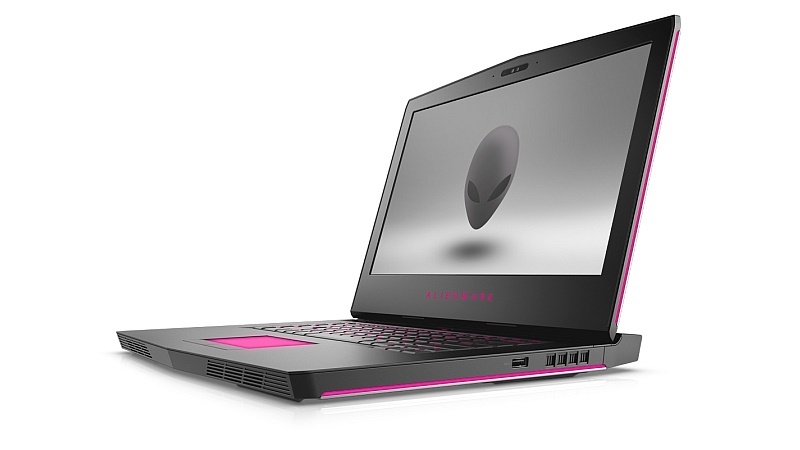 According to Dell, the Alienware 15 and 17 notebooks are the thinnest and lightest Alienware machines by the company. These are the first set of PCs which are powered by technology like TOBII Eye Tracker that improves the overall experience of the user while gaming. In addition, the Graphic Amplifier is an industry first through which users will be able to simply load the latest VR-ready graphics and club their notebooks, to get the latest graphic experience. Let’s see how the new gaming series notebooks perform in the Indian market.